Creating a little Bell(e) for the Ball, sabbatical work 2012. Welcome to the FHSU Ceramics Blog. This blog is intended to inform and inspire. We invite you to explore the images and add comments. If you have questions that need an immediate response, please call me at 785-628-8678 or leave me a note at lganstro@fhsu.edu. As Professor of Art and Design at Fort Hays State University, I am so pleased to offer a high quality art education at a very affordable price. Our department serves nearly 300 students, 20 graduate students. 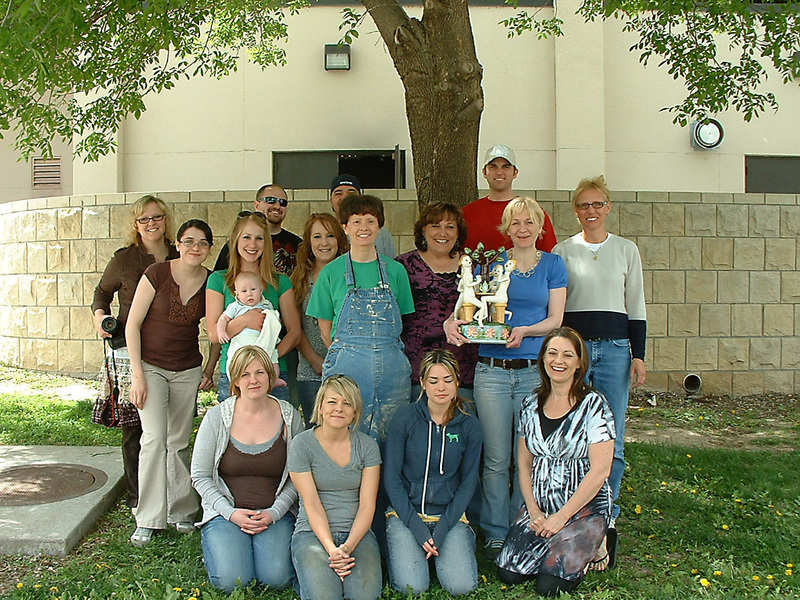 This blog documents some of their research, artistic experiences and the community involvment encourged at FHSU. FHSU prides itself on our use of teaching technology, this blog is one element in education. I will be conducting “Hot Clay/Cool Characters” workshop at Idyllwild , June 24 – 30, 2012 exploring the figure as a voice in contemporary art. I will demonstrate how to create and use a bodycast mold along with various techniques for incorporating realistic details into ceramic sculpture. As an artist, I am active in working with professional galleries and exhibiting. I will include some technical pages explaining some of my more particular processes. As NCECA Exhibitions Director, I have the pleasureable duty of working with the exhibitions program for our conferences and events. This helps me stay current with the ceramics community, learn more about curating and allows me to give back to an organization I learned so much from. Service is an vital element in my professional life. I believe in the value of creativity and art in life. It is my hope that we can work together to build quality of life for everyone on the planet and work together to creatively solve our global challenges. What a world it would be if everyone were an artist with skills at communication and self-expression.